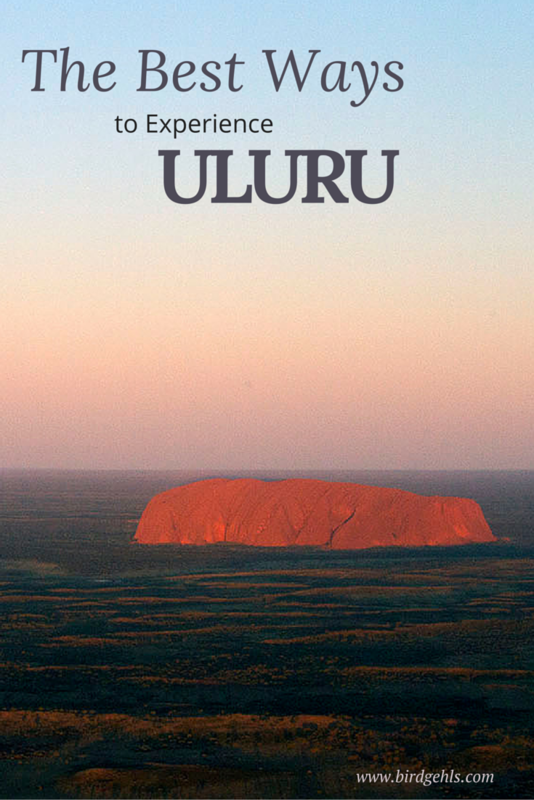 Uluru is not a cheap place to visit. You pay big bucks for everything at Ayers Rock Resort – from flights, to accommodation, food… even entry to the park is a bit on the exy side. 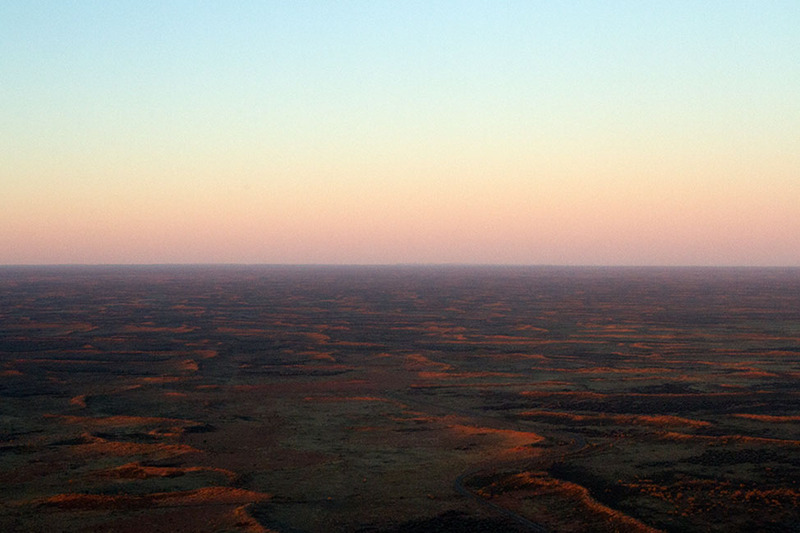 That being said, I can understand why many visitors want to make the most of their trip to Central Australia. 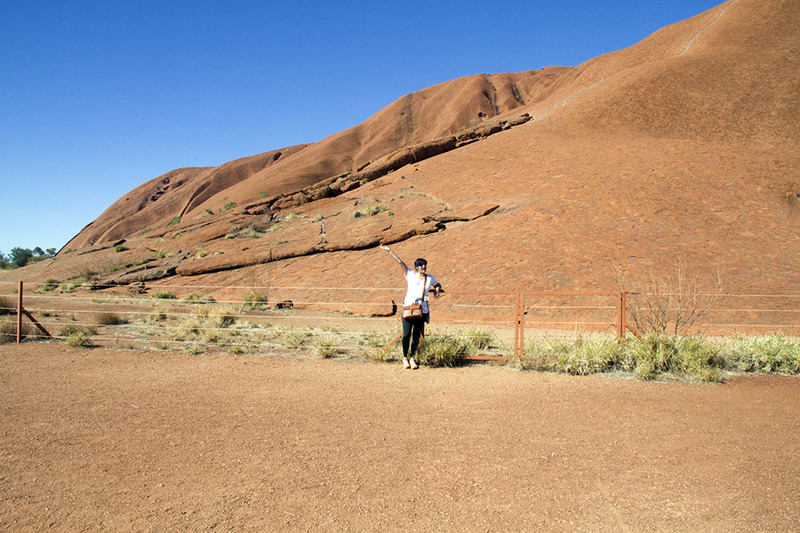 The problem is, a lot of people still believe that one of the best ways to experience Uluru, is to climb it. I don’t agree, for several reasons. 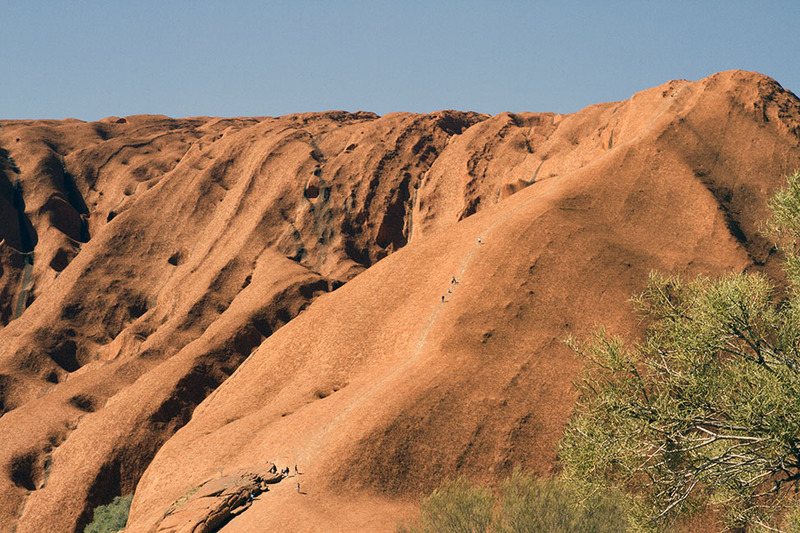 The traditional land owners of the area, the Anangu people, prefer that people don’t climb the rock. They don’t say this because they are terrible spoilsports trying to ruin everyone’s fun. They ask you not to because it is a blatantly dangerous thing to do. Part of their culture is that they feel personally responsible for the safety of all those on their land. While we were there, we were told several stories of past incidents, two of which stood out in particular. A German man some time in the last couple of years had done the climb, then had suffered from a heart attack on reaching the bottom. Sadly, he passed away. The Anangu people who had rushed forward to help him, felt personally responsible for his death, going so far as flying to Germany to attend his funeral. We were also told of a Taiwanese man who earlier this year, had veered off the path to take a shortcut down. He had fallen and broken both his legs. Rescuers had to spend the night on the rock with him, until he was airlifted to safety the next day. This misadventure had cost the fellow $180,000, as he had had no insurance. The Anangu note the danger in climbing the rock and correspondingly don’t see a reason to do so. For them, it was only climbed in times of ceremony and done so by men of the tribe. It is dangerous and it is disrespectful. Each to their own, but that was reason enough for me not to want to do it. With climbing the rock definitely out of the question, there are still two other ways to experience it. One is walking, or riding a bike around the base. It’s a long walk – 10.5 kms, which translates to about 3 hours, if you take it at a leisurely pace. I believe walking around the rock is a far more rewarding experience. You can only climb a small section – whereas the base walk allows you the opportunity to see it from all angles. 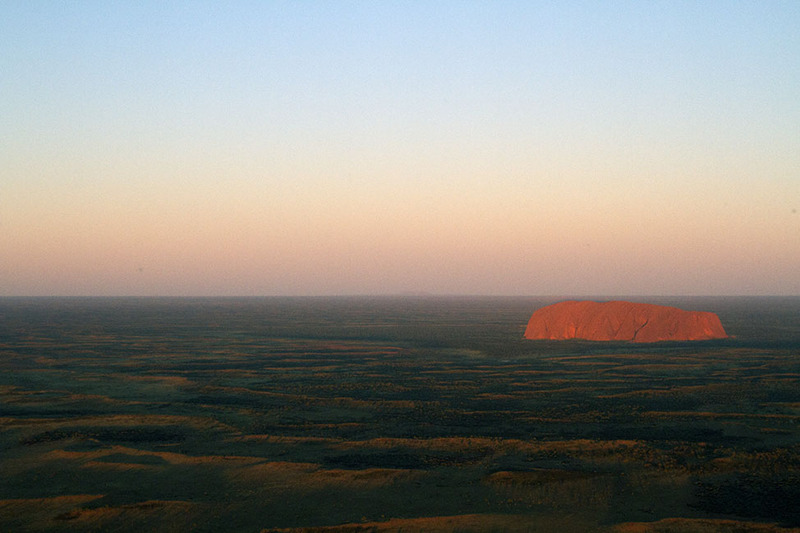 It really gives you a feel for what a massively fantastic feat of nature Uluru is. Mum and I embarked upon this arduous journey at around midday, finishing by early afternoon. It was a phenomenal walk, unlike anything I have ever done before. 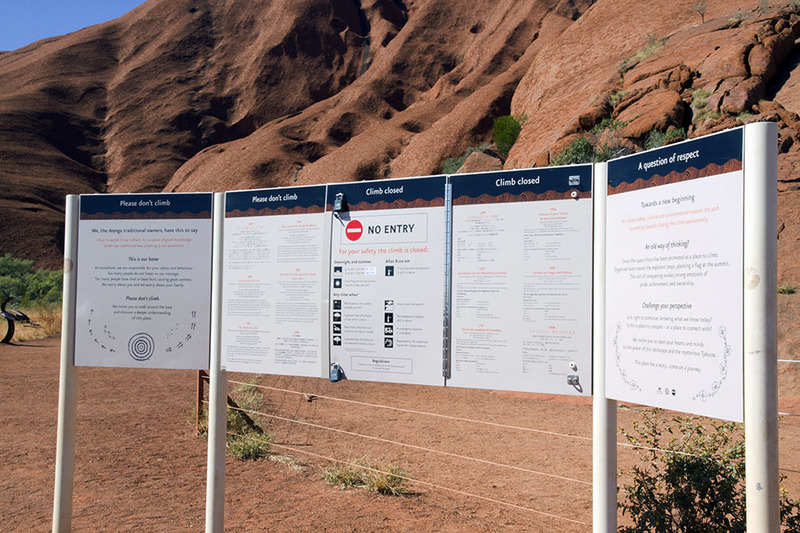 Along the way were plaques featuring various Aboriginal stories that were tied in with the history of Uluru. As you read the stories, you could see the features of the rock that inspired these century old tales. The magic of the ages was prevalent in this experience. All that is asked is that you stay on path, as to not damage the natural vegetation in the area and that you don’t photograph certain parts. Why? Because they are sacred to Aboriginal culture and a part of certain traditions. Trust me – it’s a big rock. Despite the restrictions, the photographic opportunities are endless. By the end of the trek you feel like you’ve actually achieved something. Mum and I knew we were at least at liberty to eat whatever we fancied for dinner. The walk would have been enough. 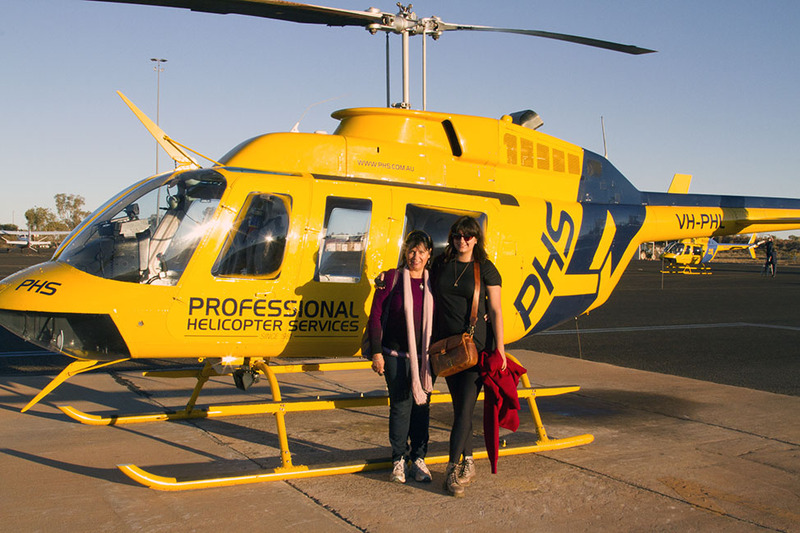 Mum and I wished to go one step further – and with that in mind, we booked onto a half hour helicopter tour, over the park at sunset. 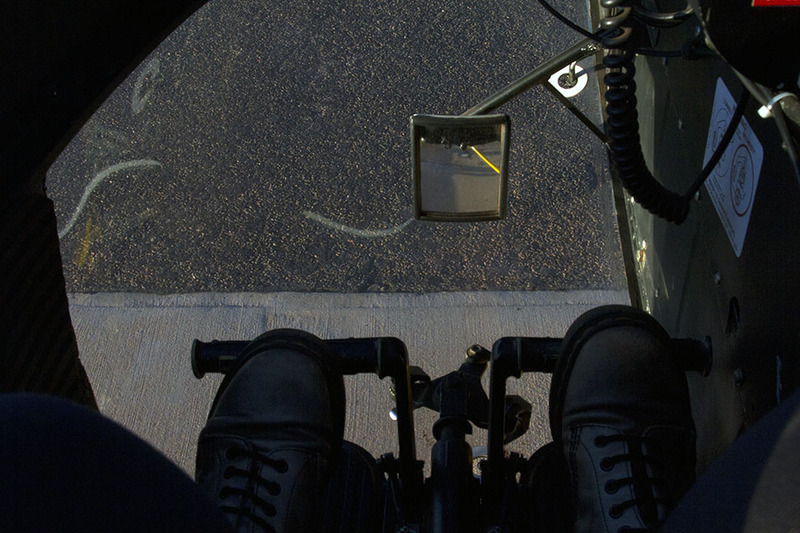 As we were climbing into the helicopter, Mum told me to take the front seat. I thought she was telling me to sit there because she did not want to. She believed she was doing a kind thing, in giving her daughter a chance to fully enjoy the opportunity. It was slightly wasted on me… as I am terrified of heights. Up until recently, I couldn’t even stomach sitting in the window seat on planes. With this being my window to the view, I felt more than a little nervous. I confessed my fear to our pilot, before take off. He was great, telling me that helicopters are safer than planes, we weren’t really going all that high and checking in with me on occasions during the flight itself. Still, every time he went a little higher, or turned the machine around, I gripped onto my seat. My CF card also chose that moment to fill up – right when you don’t want it to. I was able to distract myself at the scariest moments by deleting photos off my camera. 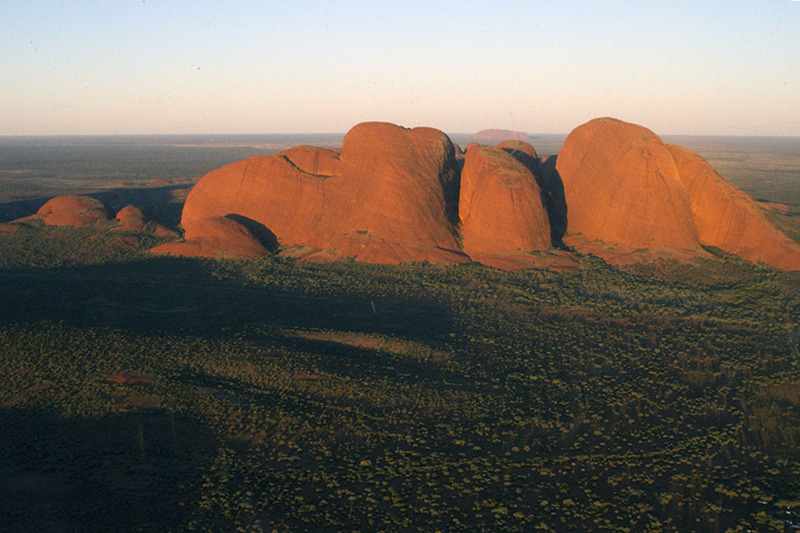 Below is a photo I took of Kata Tjuta, when I was still too scared to look out the window. At around ten minutes in, I was able to relax and enjoy the experience properly. And what an experience it was. 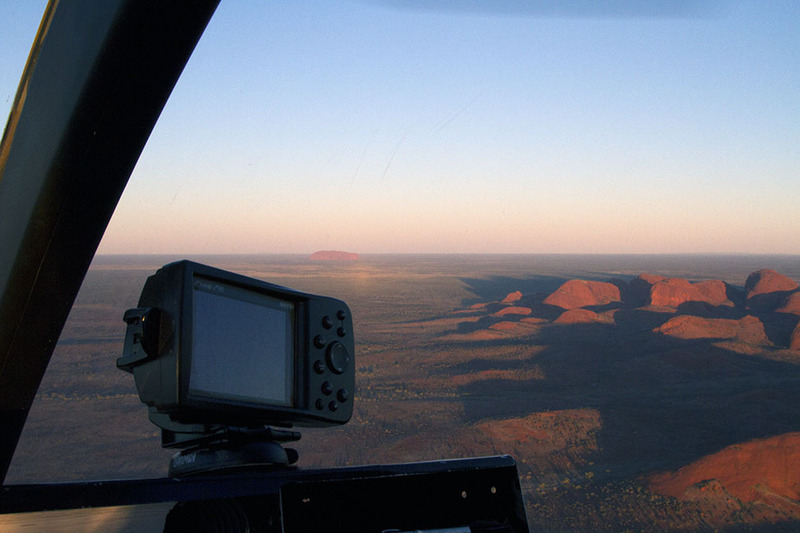 Uluru-Kata Tjuta National Park is phenomenal from above. This was the closest we were to get to the Olgas, as we were unable to fit a visit to them into our very full itinerary. 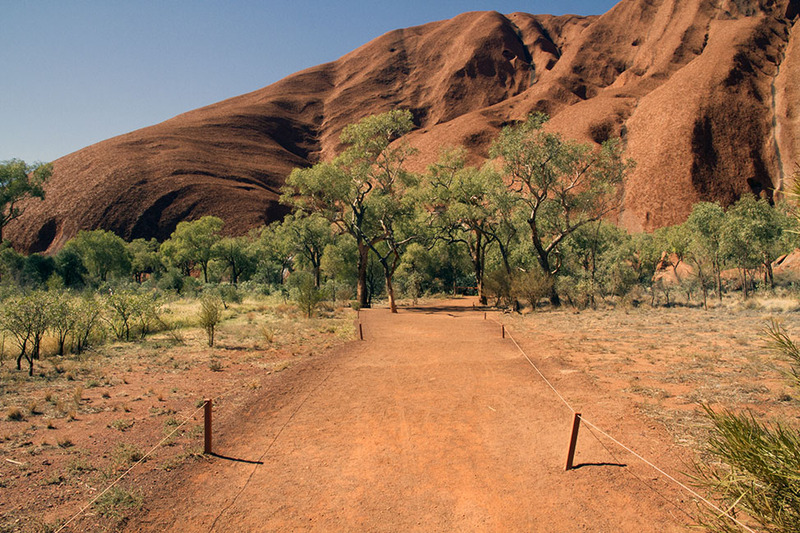 They are considered more of a sacred sight than Uluru, so access to them is restricted in any case. From the air, we were getting to see two thirds more than those on the ground would ever be able to. 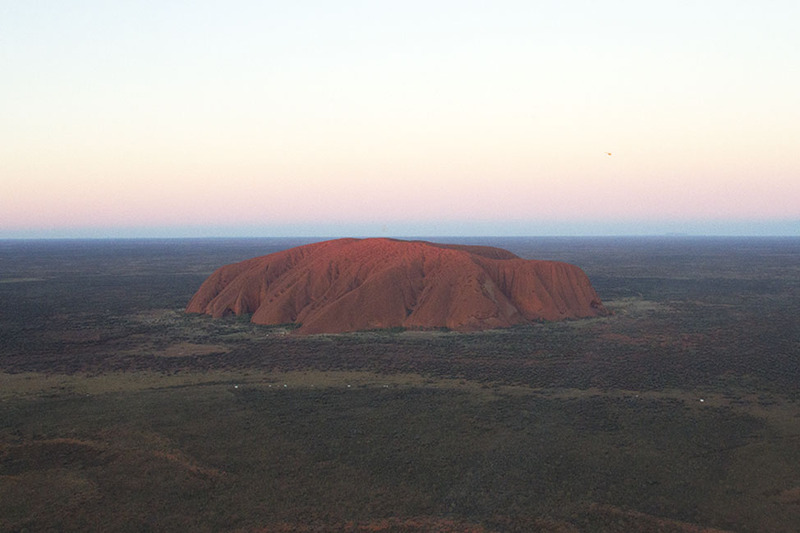 Uluru was illuminated in the light of the setting sun, glowing that deep, earthy red that it and the Australian outback is world famous for. It was one of the most spectacular sunsets I have ever seen. If you visit Uluru-Kata Tjuta National Park, I urge you to think twice about climbing the rock. 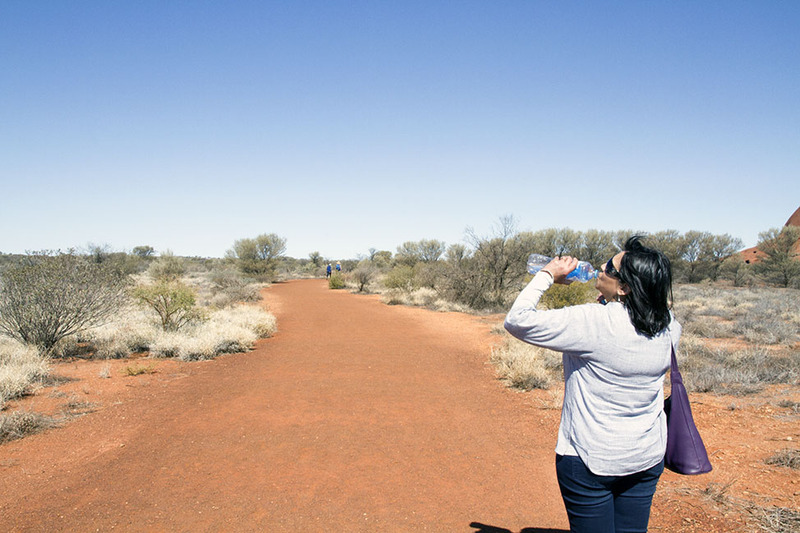 There are other, better ways to experience one of Australia’s greatest treasures, without offending the traditional land owners, or endangering your own life. Super amazing pictures! It is on my to-visit list for sure. You should just do a photo diary of your snaps! Thanks! I have been trying really hard to learn the ins and outs of my camera, ha. Just don’t sit up the front! It was the glass bottom that did my head in. Ooh, yes, that sounds awful! Will keep that in mind.